In his historic speech in the World’s Parliament of Religions in 1893, Swami Vivekananda started with these epic words “Sisters and brothers of America”. In his historic speech in the World’s Parliament of Religions in 1893, Swami Vivekananda started with these epic words “Sisters and brothers of America”. The thunderous applause lasted more than the two minutes originally allocated for the speech. Swamiji visited Chicago after he had gone on a nationwide tour of India in which he witnessed an impoverished and ravaged country, hit by a series of famines during the colonial rule. Swamiji’s positioning of India as a significant global power reflected his visionary and spiritual leadership. He was able to articulate India as a source of strength, especially at a time when the West was hoping that India, as a victim of circumstances, would be seeking global aid and benevolence. The assertion changed the geo-political outlook towards India as a nation with the propensity and potency for global supremacy. India as a global solution provider is an idea that germinated long ago and needs to be nurtured. In response to a failing Anglo-Saxon economic recovery and the fragile framework of BRICS and the emerging economies, Prime Minister Narendra Modi’s ‘Make in India’ vision cuts across a spectrum of development clusters. The September 2014-response is a confidence-building measure to catapult the nation through a vibrant economic path of recovery, and education is a common thread that sews all the ‘Make in India’ clusters together. The role of educational institutions in harnessing the intrinsic power of our nation needs no extra emphasis and there is a need to build confidence in various sections of our education value chain—school education, teacher education, higher education, research, public policy, students etc. There is no doubt that many of the statutory and regulatory bodies that govern various streams of education need an overhaul, and steps in this direction have been initiated. With the new National Educational Policy to be announced soon, there is hope that education becomes a game changing tool for the ‘Make in India’ movement. For a social sector engine such as education to be a game changer, there needs to be a fundamental change in the mainstream discourse. It is common knowledge that every country has problems in its education system. That Indian education also has problems cannot be an excuse for non-performance. The time has come to move from a problem mode to a problem-solver mode. The MBA education anomaly can be used to explain the proposition better. 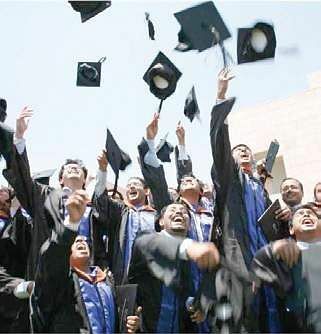 A majority of B-schools in India churn out MBA graduates, most of them ready to become global managers. Students intensely study the movements of the New York and London stock exchanges and research the Beta (indicator of a stock’s risk) of a firm’s stock, unmindful of the ‘betas and betis’ living in their immediate ecosystem. A majority of the MBA graduates want to become global managers to handle global problems. If everyone wants to solve only global problems, who will handle the nation’s problem, the region’s problem, the state’s problem, and the local community’s problem? This is not an attempt to trivialise but to highlight the lack of direction in different streams of education. The spirit of India as a global problem solver needs to be renewed through our education system from the basic level. Each level or stream of education and the educational institution needs to solve the basic problems using emerging teaching paradigms and progressively move towards advanced levels. There is a pressing need to move from education being a problem for India to education being a problem solver. Let the movement for that begin.